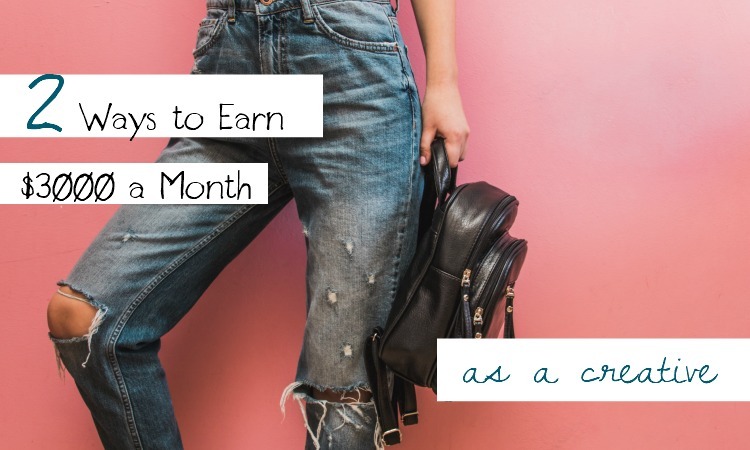 Wanting to earn an income from home so we can make our big move from the city to the sticks, I wanted to figure out a way to weave in my crafty hobbies with a soon to be mom-friendly home-based business. Want to know what I discovered in this journey that began with me quitting my corporate advertising job to make and sell hemp soap? Reflecting back on my own journey it’s apparent now that if you want to make $3000 from a creative outlet you can either go one of two ways. 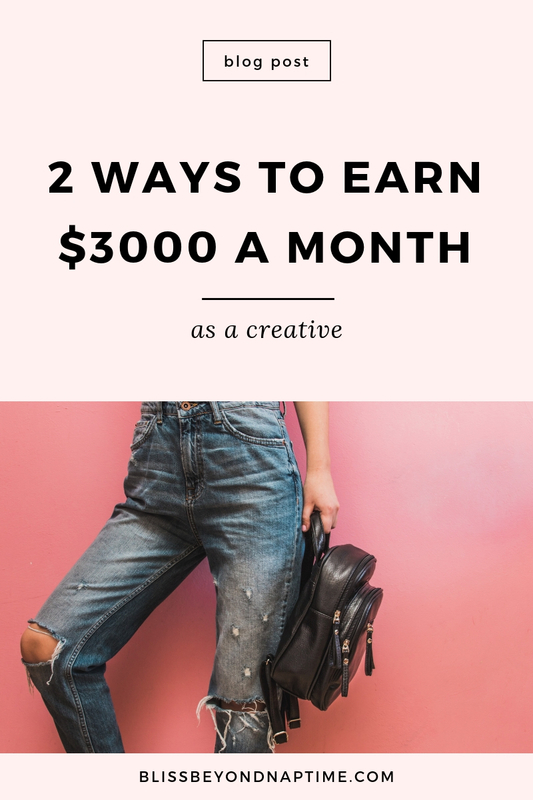 One way to make $3000 a month as a creative. Craig and I wanted to move to the boonies where we purchased five acres of paradise. Problem was at the time there were no jobs out here so I decided to start a biz. Inspired by the fumes of a local handmade soap store I thought I’d give soap making a whirl and I LOVED it. Little did I know at the time, if you throw a rock out here you hit either a soapmaker, yoga teacher or potter on the head but I digress. I started selling my soapy wares at farmer’s markets, wholesaling them to retail stores and even on an Etsy shop. The problem, other than the rock throwing issue, was that I was selling them for $5.00/bar. And they essentially cost me $2.50, with materials, labour etc, to make. See where the math is going here? In order to make $3000 a month selling my creative outlet babies, I’d have to sell 1200 bars of soap. The fumes of pumping out that much soap started to get to me. And it didn’t help that by this time I had developed a bionic sense of smell from two pregnancies that I’ve never been able to shake off (the sense of smell, not the pregnancies). I sold the biz and with those proceeds I invested in the equipment and materials for my new creative love and business idea – spinning art yarn. And surprise, surprise. Same math happened. Same burnout was creeping up when after a day with my babies (around now I had two) I then had to stay up pretty late cranking out the wares that I was to list on Etsy the next day for mere dollars per hour of finger cramping work. Same sad dollars per hour that added up pretty much to what I made in my two week stint at McDonalds’ when I was 15. Things improved a little bit when I created an ecourse for my followers to learn how to sew with little rugrats afoot. But the best part of that endeavour was the inspiration it delivered to connect with my community on a coaching level. The other, more awesome, way to make $3000 as a creative. You could make 1200 bars of soap, or widgets, or knick knacks, or…. offer your creative enthusiasm to a niche in a capacity where you’re supporting other creatives who are just a couple of steps behind you in the creative journey. For example. With my sewing ecourse. 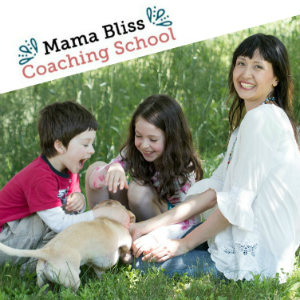 Had I back in those days had my coaching skillset I could have packaged that offering up as a one on one experience to really exemplify the personal development aspect of this cozy, and practical, creative outlet. It’s one of my passions, outside of getting my crafty on, that busy moms tap into their creative urges and discover the tools and reframes to prioritize and lead them to sit down and get lost in the bliss of creative play once again. Intuitively back then I was using creativity coaching tools such as releasing perfectionism, embracing backhanded compliments, seizing small bits of time here and there (thus the name of my site, like that bionic sense of smell, I can’t seem to shake off). So how does that full-time income, part-time hours work exactly? What I train creatives to build is a coaching package that includes four one hour coaching sessions that starts at $500. Sell six of these a month and voila – $3000 a month. The reason that this is such a terrific gateway offering is that it offers you a road map to the neural pathways of your ideal client’s brain and heart. You can notice the common struggles that crop up for your ideal client. You are privvy to the exact words they use to describe these challenges (makes marketing and inviting them to work with you so much easier and natural). Then you can get succinct with your coaching and mentoring approach and begin to offer group coaching programs to really scale up your time and resources. And your ability to reach more people with your amazing gifts and tools! Take the sewing mom example for example. The common struggle here could be a sense of a lack of time to sew with all that there is to do in a busy mothering day. If you can promise an outcome built with the tool kit of coaching tools and a process that’s easy to lean on and implement, you can help your ideal clients reach a specific goal (handmade their fall wardrobe, dress their kids in matchy match outfits like little Von Trapp kids). That’s something you can do in a group coaching program. 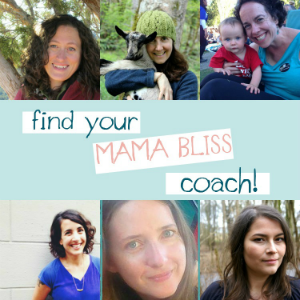 Charging $250 month for 12 ladies, in an ongoing offering, or $125 month for 24 itching to stitch mamas… ta-da – $3000 a month, dude! And you being a creative, there’s obviously a lot of room for creativity here coming up with packages and programs (that’s actually half the fun for me). So turn that passion of yours, follow those bliss crumbs and discover how you can serve on a deeper level on a one on one level basis. It’s a beautiful way to get important for biz success, and fulfillment, relationships formed, get the juicy conversations happening with your clients and diversify your income streams so you can serve at different pricing levels while you’re at it. Sell 1200 units of something you love? Or fall in love with the craft of coaching and actually have the time to dive into your creative bliss?